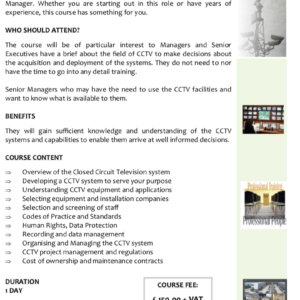 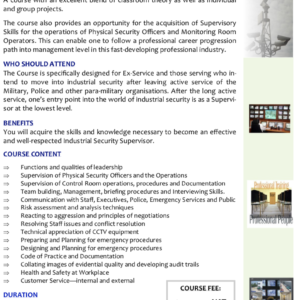 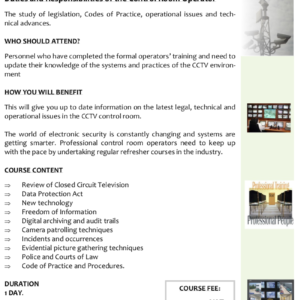 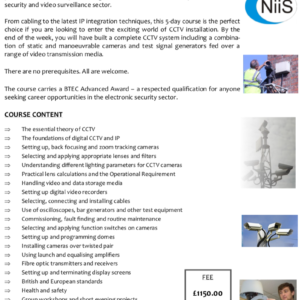 A Course for personnel responsible for maintaining the safety of staff, public and the premises. 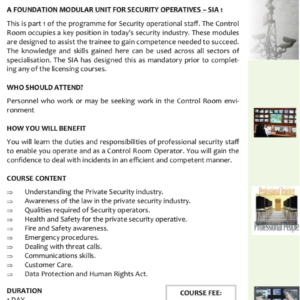 Those operating in commercial, government, public places, retail environments and industrial sites will derive particular benefit. 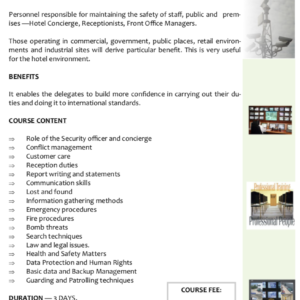 The delegates will build more confidence in performance of duties to international standards especially at the front desk of hospitals, hotels and multi-occupied office buildings. 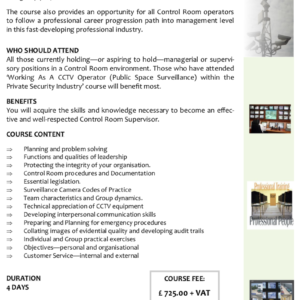 The Essentials of Management and Team Building A course with an excellent blend of classroom theory as well as individual and group projects The course also provides an opportunity for all Control Room operators to follow a professional career progression path into management level in this fast-developing professional industry. 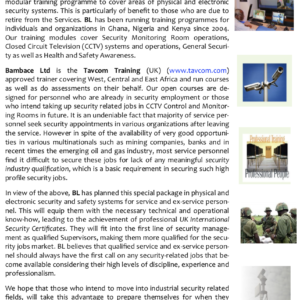 Personnel who operate or work in the office environment. 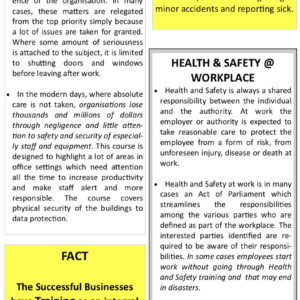 Those operating in commercial, government, public places, retail environments and industrial sites will derive particular benefit. 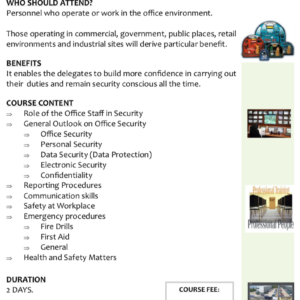 BENEFITS It enables the delegates to build more confidence in carrying out their duties and remain security conscious all the time.